Do you know what's in your indoor air? It might surprise you! Here are some common contaminants, and what you can do about them! 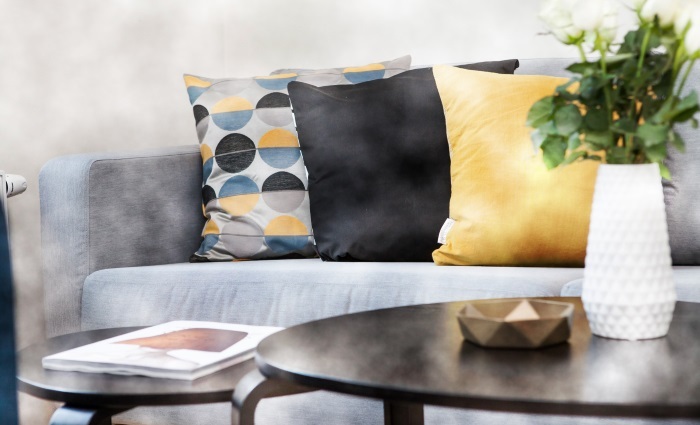 When we think of air pollution, we often think of outdoor air, but studies have shown that indoor air can be just as contaminated and sometimes these contaminants can even cause cancer. In fact, the Environmental Protection Agency (EPA)’s research has shown that indoor air can actually be more polluted than outdoor air from the largest and most industrialized cities! Given the average person spends 90% of their time indoors, exposure to these hazards can add up quickly. 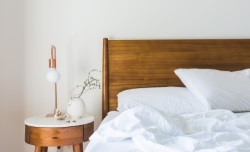 For National Cancer Prevention Month, we wanted to focus on this less known risk and what you can do to improve the quality of your indoor air. Do you know what's in your indoor air? Here are some common contaminants that you may not even be aware of! 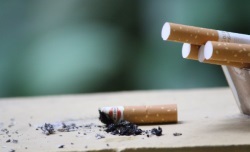 Smoking indoors doesn’t just expose occupants to second-hand smoke, but also leaves a residue on structural surfaces and content items. This residue can be picked up through contact with surfaces or breathed in as it off-gasses. Now recognized as the 2nd leading cause of lung cancer in the United States, our understanding of the effects of Radon exposure has improved significantly over the last few years. 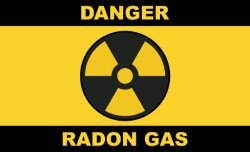 An odorless, colorless, and tasteless gas, Radon seeps up through your foundation and can be in your home without you even knowing. Radon testing is available to determine if, and to what extent, you may have a Radon issue. Mold spores and byproducts of mold growth such as mycotoxins and mVOC’s often account for much of the pollution found in indoor air. The effect of exposure to the nearly unimaginable variety of different molds that may be present is still being understood. Research continues to support a number of health issues that are believed to be caused or exacerbated by exposure to mold spores and their byproducts. 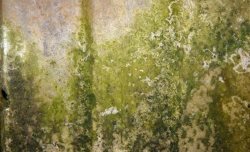 Learn more about Mold and how it can affect your health. Viewed as a miracle material at the time, Asbestos was used in building materials for decades, and is very commonly found in NEPA homes. 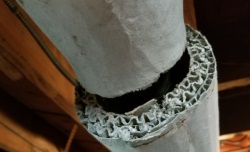 When an Asbestos building material is damaged or deteriorates, Asbestos fibers can be released into the indoor air and result in various cancers such as asbestosis and mesothelioma. Household products, remodeling dust, paint fumes, and pesticides can all contribute to indoor air pollution. While these are largely short term issues, you may still experience some discomfort and may wish to limit your exposure. Ductwork can harbor dirt, dust, mold spores, and other contaminants that can be spread throughout the house when the air or heat is turned on. This can create a number of issues that both affect indoor air quality and the health of occupants. 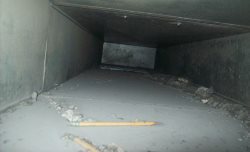 We recommend that ductwork be cleaned every few years to ensure your HVAC system is clean and free of contaminants. Cleaner indoor air IS possible, here's how! Our houses are built much tighter than they used to be and are far better insulated. As a result, indoor air is much less likely to be changed or replaced with new air from outside. This traps potentially polluted indoor air inside, where it continues to worsen. By opening windows and allowing a good cross-breeze, you can dramatically improve the quality of your indoor air. Dust accumulates in the strangest places sometimes. 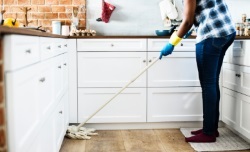 Go through and complete a thorough cleaning, moving furniture, cleaning ceiling fan blades, wiping down baseboards, etc. 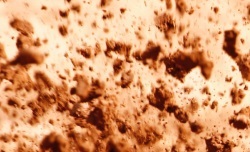 Use a vacuum cleaner with a hepa filter to prevent this dust from ending up in the air as well! A Radon Test can tell you if you have a Radon issue in your home and if you do, a Licensed Radon Mitigation Contractor can install a system to address this issue for you. 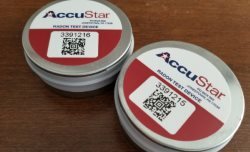 Radon Test Kits can be purchased here. Are you smoking inside or painting without proper ventilation? If you can complete a task outside, we strongly recommend doing so. If not, always make sure that the area is well ventilated. You may even find that you have to open the windows to air out the space a few times over the course of a few days. We hope these tips help you improve the quality of your indoor air and that this year’s National Cancer Prevention Month increases awareness of these important concerns. As always, should you have an issue affecting your indoor air quality, please don't hesitate to Contact Our Offices, we're always happy to help! *This story originally appeared in the February 2019 issue of Connections Magazine, as part of a monthly contribution made by Disaster Blaster, Inc. Please check out the current issue of Connections Magazine for this month's story!